Guttering and its accessories may not be the most exciting of products, but having the right guttering can make all the difference between an efficient and watertight building and one that will need substantial repairs and maybe even replacement after just a few years. Harsh climates, one-off storms and the natural weathering process over time can all contribute to faulty or failing guttering, leading to leaks and significant and costly water damage to the internal structures of your building. You can protect yourself with a regular monitoring and maintenance program for your roof or even consider a total commercial roof replacement in Perth. We all know that guttering helps trap and direct water away from a roof and away from a building, but you’d probably be amazed by the range and diversity of commercial guttering on offer. There is a guttering solution for every type of building and roof design, location, climate and individual rainwater capacity requirements. Some gutters need to be wider to allow for greater rainfall capacity, and some even include overflow slots in the side of the guttering – these are particularly useful in tropical areas with excessive rainfall. Some are also designed specifically for areas with high levels of silt and debris build-up – for example if a building is located near trees or in dry and dusty conditions. Some of the most popular gutters among roof contractors and designers include Stratco’s “OG” Gutter (short for “Old Gothic” Gutter). This is a zinc and aluminium coated steel gutter that comes in the long lengths needed for large commercial projects. It is also slightly wider than many other gutters and is therefore perfectly suited to areas of high rainfall. Bluescope Steel also produces an impressive range of guttering and accessories, with over 20 different types designed for the Western Australian market. Of course guttering doesn’t simply end there – in fact it requires a number of accessories to be able to function properly. These include fascia, downpipes, gutter angles, brackets and ends, outlets, rainheads and sumps. When roof contractors or commercial roof replacement companies in Perth start a new project they will design the whole system as an integrated rain management unit, with matching guttering and accessories. In the event that guttering or associated parts need replacing on an older roof, then the company will choose the right solution that will be most effective for the surrounding environment and climate. It will also choose a design that will match your budget.It is,however, recommended that you get the best guttering you can afford (rather than the cheapest) as it will save you money in the long run in terms of repairs and ongoing maintenance. 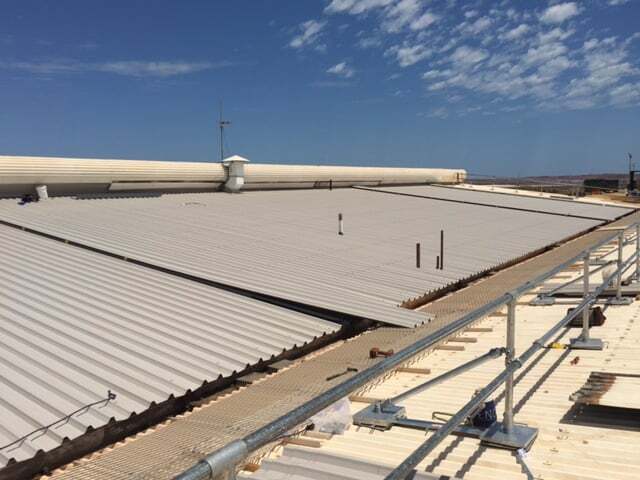 As a building owner or facilities manager, you will want a roof that keeps you dry and protect your assets during the rainy and stormy months in Western Australia. You may also want a roof and associated plumbing that fits into the total design of your building. Choosing the right commercial roof replacement company in Perth will ensure that your building will withstand the harshest weather while still looking good.